Sincerely, Kinsey: A Little Peek of Bliss. A Little Peek of Bliss. Just stopping by to share a sneak peek from my shoot yesterday. It was such lovely weather and a breath taking atmosphere. We ended up walking about two miles or so for different scenery, but it was worth every step. I'll definitely be sharing more once I've gotten a chance to work on them a bit. And of course, a playlist full of infectious motivation. I hope you don't mind me sharing my favorite tunes so much; I truly believe that music sets the over all vibe of a space, and I want this little ole' blog to convey as much inspiration as it possibly can. P.S. Congratulations, Mandi! You are the winner of the March Giveaway! Please email me at sincerelykinsey@yahoo.com to claim your gifts! The second photo is stunning. Perfect colours. I love bicycle photo shoots. Looks like a perfect spring day! Those photos are sooooo pretty! Beautiful. Both. These photos. And these songs. Your favorite tunes are wonderful! The fact that you include so much music makes you unique from the many other DIY blogs that are out there. It's one of my favorite parts about reading your posts! Keep the inspiration comin'! What great photos. Can't wait to see the rest. keep posting the music! i love finding new tunes! Great pictures! (: Just found out about your blog and I'm hooked, followed straight away, you're extremely talented! Thanks for the playlist! just the right change of atmosphere i needed today! sooo perfect. 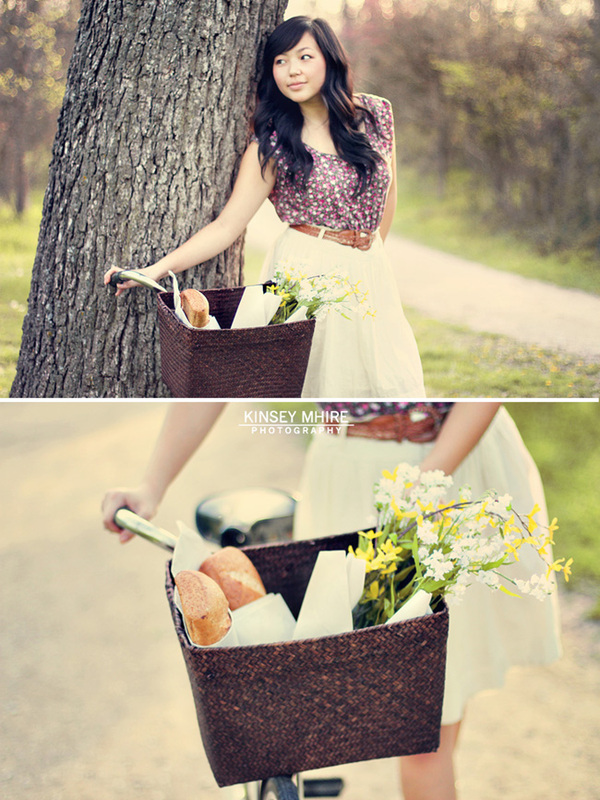 the bike, the girl, the bread. beautiful photos :D i would love to see more! These pictures make me yearn for Spring to get here already!